Email has been the mainstay of restaurant marketing for the past ten years. The fight for attention in the inbox has never been bigger. Customers are barraged with email messages every day. Social media and message platforms all compete for your customers time. You’ve seen the impact…tough to get people to join your list and declining open rates over time. But when you need to drive new revenue an email blast will outperform any local print, Facebook ads, or search ads. You promised your customer offers when they joined the club. No one has time for self-serving messages. Offers don’t have to be deep discounts but you must have offers. Offers do not mean creating a discount image. Don’t want a discount image? Then change how you market the offer. Create “specials”, “value meals”, or “combos”. If your customer must study the offer – it won’t work. Ever get a coupon offer that the fine print is two-thirds the size of the coupon? Too restrictive ticks off customers. Create offers that solve your business problems. Need to grow lunch, online orders, delivery, slow business times, … Create offers to help solve the problem. Repeating offers that don’t work. Your customers vote every email blast what they think about the offer. If the offer doesn’t work – quit repeating it. Repeat offers that do work. Some offers work for you AND work for the customer. By all means repeat the offer. Track what interests your customers. Email products allow you to “tag” customers based on what they look at. Create all offers as trackable coupons, categorize the coupon offers, and then tag the customer based on the type of coupon offer the customer clicks on. Target email blasts based on past customer interest. Want to promote a lunch time offer with an email blast? The best audience to target are customers that have shown an interest in lunch time offers in the past. Create offers with high perceived value. Anchoring is a technique proven to work in psychology experiments. Set a high perceived value for the offer and then create an offer that will maximize the dollar savings to the customer. For example, “Buy One Get One Free” versus “Get $10 Off a $20 Order”. The “$10 Off” offer can end up being a lower discount percentage depending on your average ticket. Sending multiple offers in the same email blast tends to lead to poor results for all offers in the email blast. A psychology study shows giving your customers too many choices leads to them making no choice at all. Exclude audiences from seeing some blasts. If the email offer does not apply to your loyalty club members, then don’t send it to them. Create a loyalty club segment in your email list and exclude the segment at blast time. Everyone does not want to join your loyalty club. Studies have shown that customers have only one or two restaurant loyalty apps on their phone. Don’t depend on a loyalty app to promote your restaurant to all your customers. The bigger the list, the better the results. It’s tough to grow the list. Strong welcome offers, birthday clubs, and email opt-in at the time of placing online orders all help build your email list. Everyone does not want to order online. Emailing online order only offers can frustrate customers that do not order online. Either create a segment of online ordering customers or make sure your offer can be used in-store or online. Nothing burns out a list faster than repeat messages. Your customers do not want to hear from you every day and they certainly don’t want to see the same message they have opened repeated. To repeat a message, create a segment of non-openers and send it only to them. Email location specific coupon offers. Ever receive an offer for “At Participating Locations” and wonder if it applies at your local restaurant? Send location specific coupon offers and ease your customers mind. Remarketing ads are low cost and work. A customer has looked at your coupon offer in your email blast. For as little as $1 a day you can put a Facebook ad in front of the people that looked at the offer. Customers will see the ad on Facebook, Instagram, or as they browse the internet. Build Facebook audiences based on the type of offers that interested customers. Want to run an ad on Facebook and target people with a lunch time offer? The lowest cost ad targets people you know are interested in lunch time offers. Just add your Facebook tracking pixel to your emailed lunch time coupon offers and create a Facebook audience interested in lunch time offers. This works amazing well for large restaurant chains. Post the same offer in social media and see how it works. Have you got a big following on Facebook or Twitter? Post the same offer you email on Facebook or Twitter and then track where the coupon does better – email, Facebook, or Twitter. Just add tracking code to the coupon URL to make segmentation reporting easy. Use smartphone digital coupons to limit offers to a single use. Fearful of emailing strong offers that customers can use multiple times? Email smartphone digital coupons that can be redeemed right from the customers smartphone and limited to a single use. Make coupon redemption easier for your staff. Setup PLU codes in your POS system or add barcodes to your coupon to make it easy for your staff to select the correct discount code at transaction time. Setup unique tracking codes on your coupon to verify the customer had the coupon. Make it easy for customers to find the coupon offer at a later date. Ever try to find an email message from a week ago? Give your customer the ability to text the coupon to their smartphone for easy retrieval later. Make it easy to share your coupon offer. Make sure it is easy for customers to share coupon offers with friends and family on Facebook and Twitter. Every digital interaction with customers is an opportunity to capture customer feedback. After the customer redeems the coupon give them the opportunity to provide a five-star rating and comment that will immediately email to your staff. 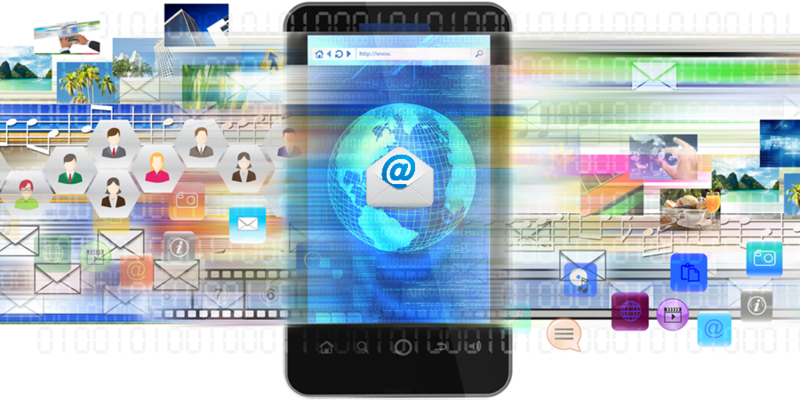 Your email service provider typically provides reports showing the device your customer used to view your email blasts. Nearly 70% of your customers now view your message on a smartphone or tablet. Minimum font sizes should be 16px and no fine print. The images should include large mouth-watering images of your food. Review all email messages on your smartphone before sending. The digital tools exist to transform the way you currently use email marketing. Email marketing no longer needs to be “spray and pray”, bore your email subscribers, and slowly watch your email open rates decline. Use the digital tools that are available to create targeted audiences that you can attract to your restaurant with offers you know will interest them. The more relevant your email messages are to your customers the more likely they will be opened and read. If you need help implementing any of these tips into your restaurant email marketing, please contact us at 866-575-4769 x1. We only work with restaurants and we know how to get results.